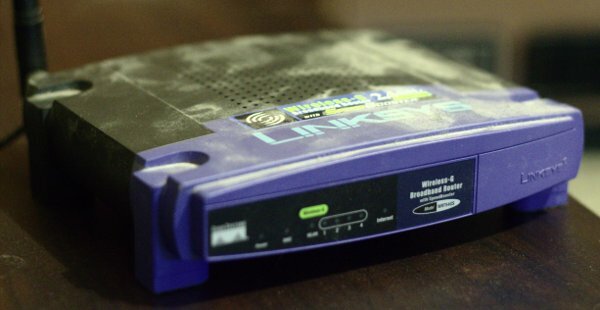 For about the last seven years our home network connection has been served a Linksys WRT54GS, the slightly-upgraded version of the iconic WRT54G that began the custom router firmware craze. Thanks to the excellent Tomato firmware I’ve been hesitant to upgrade it, despite having a house full of 802.11n laptops and gigabit Ethernet desktop, but it had been flaky of late, so it was time to jump ship. My chosen replacement is the Netgear WNDR3700. With dual-band 802.11n and gigabit Ethernet it’s a major upgrade — I can easily get 60-70MB/s between my desktop PC and HTPC/file server (maxing out the disk), and about 12MB/s over the wireless from my laptop. There’s also a USB port, though I’m not sure if I’ll do anything with that, yet. The stock firmware lacked some features that I’m used to having, such as DNS hosting for the local domain, so I soon switched to DD-WRT. Installing it was more of an ordeal than I expected, though; the version linked from, of all places, the DD-WRT wiki entry for the WNDR3700 caused the router to sit there rebooting in a loop. After much frustration some I found an older build that I had better luck with, and by working through the Atheros tuning guide I managed to get a little more speed from the wireless network. DD-WRT is a far cry from the elegance and simplicity of Tomato, but it definitely has a wealth of features. It’ll take me some time to dig through it all, but for now, it’s doing everything I need.